Austin Texas – Used be a small town, this city has grown quickly in the last 10 years. Over 50,000 students resides in the University of Texas. Also known as Silicon Hill, high-tech companies play a huge role in Austin. Just name a few, major employers are IBM, Dell, AMD, Apple, Oracle, Google, Intel, Samsung and National Instruments. Austin is also called the Live Music Capital of the World! SXSW in Spring and Austin City Limits in Fall. These events bring millions of people to Austin each year. Since 2012, Austin hosts F1 event near downtown. Fans from all over the world will visit Austin for the race. The population of Austin has reached 1,705,075 in 2009. (US Census bureau). 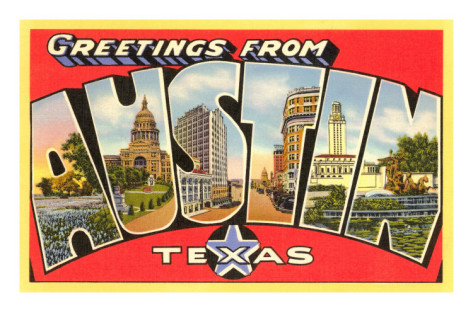 Austin is the 13th largest city in the US and its population is larger than its of San Francisco! More people are moving to Central Texas each day! The population is to double in the next 20 years. Austin’s median age is early 30s. Once you move here, you want to stay here. Austin is such a vibrant city! There is always something going on around town: art festivals, music festivals, various cultural events, athletic events, Pecan Street Festival, film festivals, Eeyore’s Birthday Party! So many city parks and state parks. If you want to get away, it is a quick drive to hill country and surrounding small towns. Fredericksburgs, Wimberley, Enchanted Rocks, Lampasas, Bastrop, Guadalupe River and so on. We are excited you are here. Hope you will find our website resourceful!